Most people consult their family physician when they have health problems. The physician diagnoses the problem and writes the prescription. The patient follows the medical prescription and regains health. The scenario is almost similar when individuals approach financial planners. 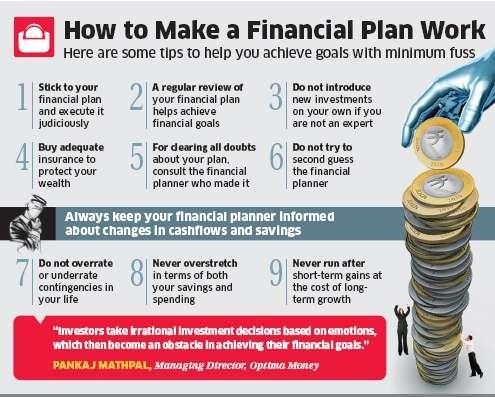 A financial planner prepares a financial plan to help clients achieve their financial goals. A financial plan takes into account all possible cash flows, possible contingencies and needs of an individual. But is that enough to ensure that the clients realise their dreams? Not really. Clients must keep in mind some factors that can reduce the possibility of success.